BACK ON THE MARKET AND READY FOR NEXT BUYER TO GET A GREAT DEAL! 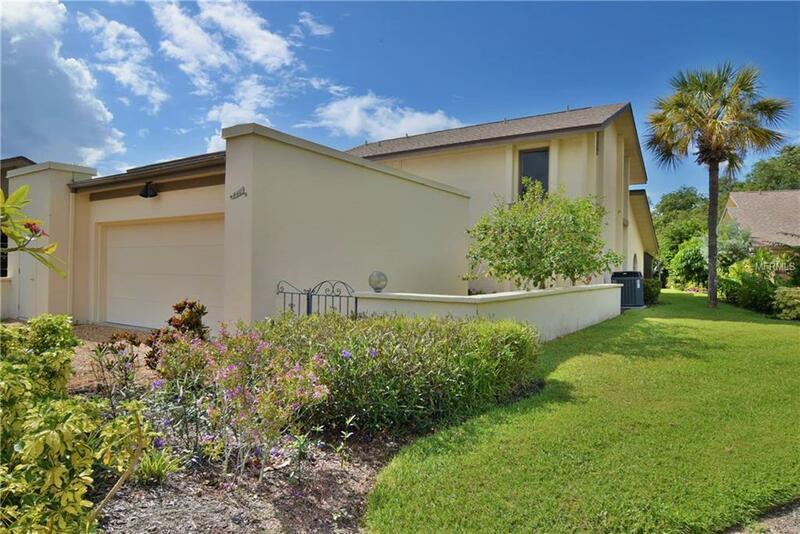 You have found the perfect location at this wonderful IMG golf course community with this three bedroom, three bath, 2-story townhome overlooking a serene pond and the heated pool. End unit with over 2000 sq ft just waiting for your personal touches to make it your own home! First floor has an oversized updated kitchen with quartz countertops and cherry cabinets, two ovens (one which is convection), induction cook-top, and a new microwave and dishwasher in 2017. Large living room for entertaining with wood burning marble fireplace. First floor also has a full bath with glass vessel sink and walk-in shower, a 3rd bedroom which could be a den/office, a formal dining room and a wet bar for entertaining. Second floor has a very spacious master bedroom with a private balcony which overlooks the pond. Enjoy relaxing, unwinding and sunsets from here! The 2nd bedroom has the 3rd full bath and a large walk-in closet. Oversized 2 car garage has plenty of storage and room for your golf cart. This community is in the heart of the well-know IMG Academy and the United Racquet Club. Perfectly situated and close proximity to the beautiful beaches on Anna Maria Island, The Ringling Museum, St. Armands Circle, restaurants, shopping and the SRQ International Airport. Not an age restricted community, pets are welcome! This tucked away gem is just what you have been waiting for if you are looking for plenty of space without having the upkeep of a home! Additional Lease Restrictions Tenant No Pets$100.00 With Application For Approval For Rentals For Credit And Criminal Check.